Your carpets can’t talk, but they do tell stories about happy moments in your family’s lives. That muddy football victory, that unforgettable engagement party, your son’s first encounter with chocolate…while these moments will always stay fresh in your mind, they shouldn’t stay embedded in your carpets! At Carpet Cleaning Hammersmith and Fulham, we specialize in removing all sorts of stains, including wine, mud, chocolate, birthday cake and crayon because we believe that the snapshots of life’s happy moments belong in your photo albums, not on your carpets or furniture upholstery! An obvious stain in a prominent section of your carpet ruins the way a room looks. Unfortunately, because most accidents happen in the midst of activity, there’s a strong chance that stains occur in the most noticeable places, for example, in the middle of the living room floor or smack dab in the centre of your sofa. For a long time, there was no other way to deal with stains other than relying on masterful camouflage or spending a large sum of money to replace a carpet or reupholster a piece of furniture. Nowadays, however, there are many solutions and techniques to deal with every sort of stain, and Carpet Cleaning Hammersmith Fulham employees are well-versed in the most effective of these stain removal solutions. *The costs above are valid about Hammersmith and Fulham. They include the required labour (cleaning hours). If additional time is needed, then supplementary costs will be applied. Minimum charge applies. Quotes over the phone are formed based on the supplied information. Our team of experienced carpet cleaners will come to your house at an appointed time and take a good look at your carpet. After examining each individual stain, you’ll be informed of what measures will be taken to treat the stain and what sort of improvement can be expected. Depending on the type of stain, our team will decide whether spot treatment measures will be carried out before or after overall steam cleaning. Our team will do their best to remove stains completely, or reduce their appearance as much as possible. You can rely on Carpet Cleaning Hammersmith Fulham’s team of experts to give you the best results of any carpet cleaning service on the market. In addition to stains and dirty patches, years of fun, parties and everyday life also leave dust, dirt, food crumbs, and other little specks in your carpets. 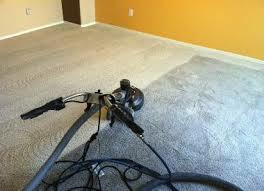 As these accumulate, bacteria and other living microbes start to breed deep within your carpets. Minute insects, such as dust mites can also lay eggs between the strands of wall to wall carpeting or smaller rugs. With our expert steam cleaning service, each and every fiber in your carpet is rinsed with a mixture of hot water and cleaning detergent. Carpet Cleaning Hammersmith Fulham. 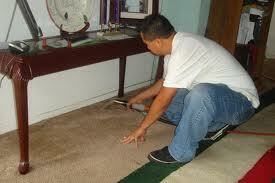 This solution is then removed from your carpet under extremely high pressure, along with all the dirt. With affordable pricing and a complete guarantee, you can enjoy our steam cleaning services in every room in your home. Carpet Cleaning Hammersmith Fulham’s steam cleaning service will lift the years right off your carpets, taking out all the unpleasant things in your carpets and leaving them sanitized and fresh. You’ll not only see the difference in your carpets and upholstery, but you’ll feel the difference when you walk barefoot or sit on them. Without the stains and dirt, you’ll have the perfect place to build more memories. Call our office today to book a visit from the Carpet Cleaning Hammersmith Fulham team.